Why is a film called ‘Green Book’? Because it deals with race and black and white relations of America in the early 1960’s. Of course nothing goes smoothly during the tour, especially when Shirley misbehaves with another man at a YMCA, with Frank left to pick up the pieces, and realizing then that this is why Shirley’s marriage to a woman never worked out. And Frank also introduces Shirley to the simple pleasures of life that he is missing, including eating fried chicken with his hand (something evidently that, hard to believe, Shirley never did). And after two hours we can see where this film is literally taking us, and what will happen between these two men during the trip. 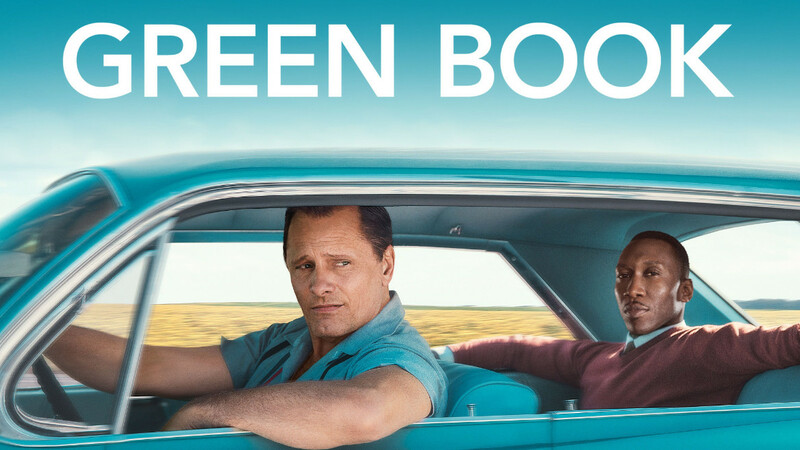 ‘Green Book’ is a true story, and directed by a subdued Peter Farrelly (‘There’s Something About Mary,’ ‘Dumb and Dumber’) it’s as slow as molasses on a hot day – but Mortensen lightens up the screen in every scene he is in – he’s fantastic and is the take away of this film. Ali, while good, seems a bit stiff throughout, and I don’t understand why he is winning all the awards (Richard E. Grant is so much better in ‘Can You Ever Forgive Me.’) Nevertheless, ‘Green Book’ is a good study in race relations in America in that time when JFK was President and Marilyn Monroe was the star of the moment.